Teenagers are seeking to bridge the gap between childhood and maturity. During these pivotal years, teenagers need to see their place in the plan of God for this world. While many teen activities are designed to be “fun,” the priority of all teenage ministries is to challenge their wills to conform to the unchanging Word of God. Our many church ministries for teens are not to replace the role of the parent, but to come alongside and assist in their God-given task of raising the next generation of ministry-minded servant-leaders. Our teens meet weekly on Sunday at 1:30 PM in the main dining room for a structured Bible study and application time. The teacher and students use materials from Answers in Genesis. About once a month, the teens meet after the afternoon service for a special Youth After Church activity. 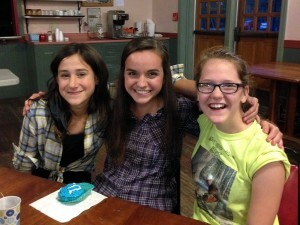 Sometimes the teens meet at someone’s home for “parlor” games and food fellowship. Other times the teens go ice skating, etc. The teens participate regularly in larger activities including both service ministries like our Spring Cleaning activity to assist some of our senior adults, and well as purposeful fun activities like tubing, volleyball, cook-outs, and ice skating. 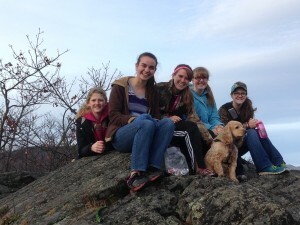 The teens are encouraged each summer to attend The Wilds of New England in Deering, NH. TWNE desires for young people to be challenged with the truth of God and the love of God so that their lives can be changed for the glory of God.